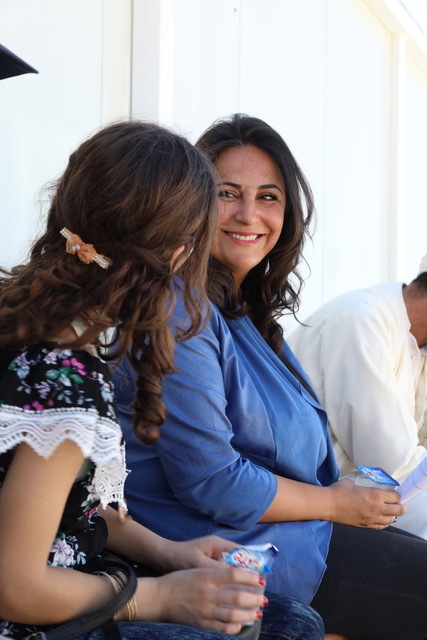 On September 16th, 2018 the HAWAR.help Back to Life Women’s Empowerment Center opened at an internally displaced persons (IDP) camp outside of Duhok, Iraq. 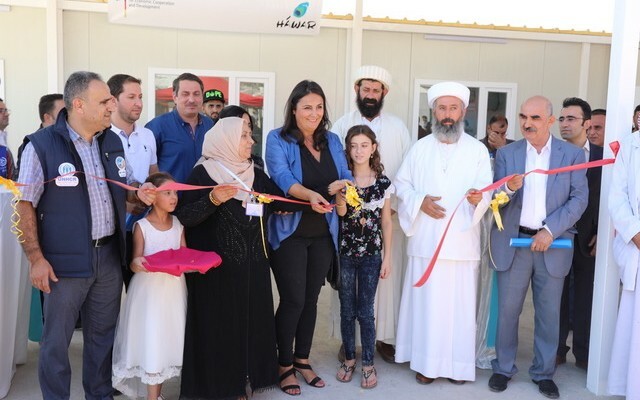 The center, supported by the German Federal Ministry for Economic Development and Cooperation (BMZ), will be a place for women of different faiths, many of whom spent years in the hands of ISIS, to come together, learn new skills and reestablish themselves as independent community actors. Situated in a mountainous region of Northern Iraq between the Syrian and Turkish borders, Qadiya IDP- Camp is home to 14,000 people. With Sinjar, the home region of the majority of the camp residents, still unsafe and the camp lying 30 minutes away from the nearest town, camp residents have few opportunities to begin rebuilding their lives. The Empowerment Center will host courses in sewing and literacy for 840 women living in the camp over next two years. Having been through the unthinkable – losing their home, villages, families and dignity to ISIS- these women will have the opportunity to define their own futures through the Back to Life project. There are still more than 1000 women in ISIS captivity. Occasionally, women and girls still return, such as the twelve-year-old Martine, who was released only a few weeks ago after four-years in captivity. She was enslaved, abused and sold several times. Martine, pictured right, is the only survivor of eight family members, including her mother and siblings, who were captured by ISIS. 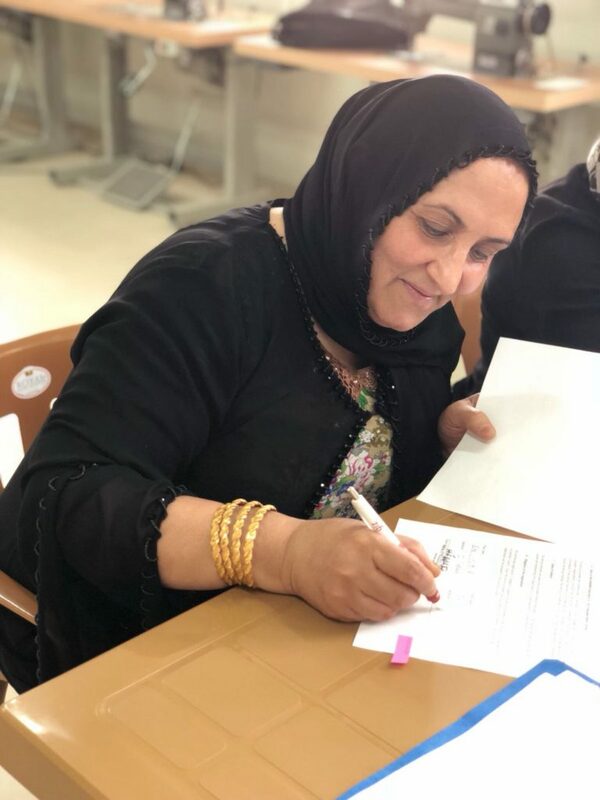 Having forgotten how to read and write Kurdish, Martine will take part in literacy courses at the Back to Life Empowerment Center to regain these skills. On October 1st courses began at the HAWAR.help Back to Life Empowerment Center. 60 women were registered to take part in four 16-week sewing and literacy courses at the center. The women will not only learn skills to earn their own income, but will be supported in their healing process. As one Back to Life teacher stated, “the women are thankful for the course and eager to take part in it. It is fun for the women and healing”. The students and teachers are of Yazidi, Muslim and Christian faith, with all of the participants and teachers living within the camp.